Partnering is at the root of all we do. IPA partners with the Council on sector-wide initiatives such as federal public policy and grantmaker salary and benefits research. IPA and Council on Michigan Foundations (CMF) collaborate on the Midwest Foundation Salary Survey report, as well as the Tri-State Community Foundation, Corporate Giving, and Family Foundation Webinar Series. IPA partners with Foundation Center on powerful data tools to analyze grantmaking by Indiana foundations. 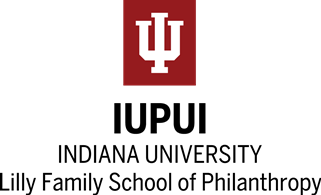 The IU Lilly Family School of Philanthropy serves as a resource for grantmaker education and research. IPA partners with the National Center for Family Philanthropy (NCFP) to provide family philanthropy focused resources and programming, much of which is free to our members. IPA and Philanthropy Ohio collaborate on the Midwest Foundation Salary Survey report, as well as the Tri-State Community Foundation, Corporate Giving, and Family Foundation Webinar Series.